FASTENERS AND SEALANT: Includes stainless steel clamp fasteners for closing/sealing the side. Screws for attaching to roof are not included. M1 sealant is recommended at bottom, side seal, and top. 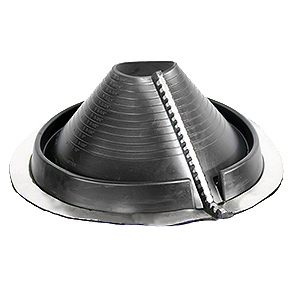 The stepped-cone design makes flashing boot easily adaptable to every roof pitch.